Discussion in 'Photos' started by Connor, Mar 5, 2017. Saw this beaut out at breakfast this morning. Connor, Khaos, Huck and 1 other person like this. Mmmmm love me a grand national. Were they t-type? And a '50 Cadi this morning. Had some rust eating through at the rockers but it looked like a solid car. 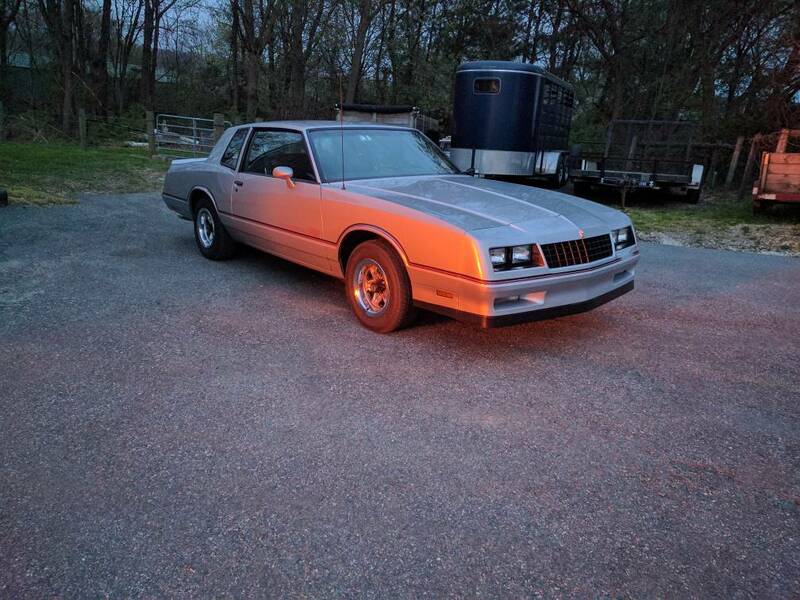 My friend's dad just picked up the Monte for 9200. It's the cleanest one I've ever seen. All original except it's been repainted. A nice car for sure. Connor and Huck like this. This thing was super clean. Paint looked brand new. TechieTruckGuy and red94chev like this. Khaos, red94chev and mike. like this. Is it just me or is that z71 dropped in the rear? Not stock imo. Maybe 2 inch drop up front. Never see lowered trucks in my area and saw 3 newer Silverado dropped down. And a Ford Lightning that had to be dragging cross members. Today was a good day. Khaos and DeanH1290 like this. Oh I'm reading it loud and clear. Gf has been highly against lowering but even she said that silver one looked good. Now I need to come up with a plan. Wish I wouldn't have sold my stocks. I can give ya these GMC 17s for a good deal once I get the methods on. They need refinished bad. z71 looks weird lowered. It has the cladding and the huge roof rack. Not if they're done right. SlowHoe, Connor, Khaos and 5 others like this.